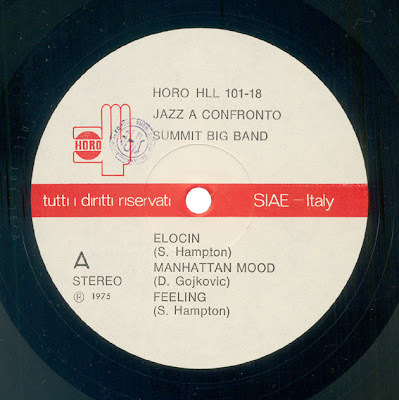 Internationally conceived, the Summit Big Band includes five Americans, two Italians, one Jugoslav, one Pole, one French-man and one Englishman. 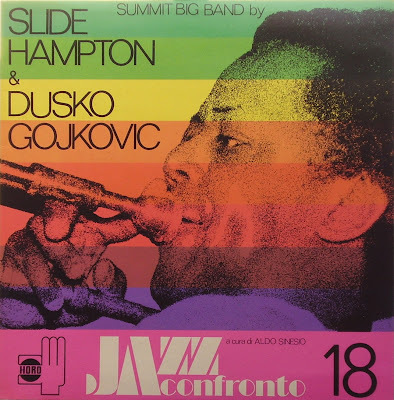 What other music you know, if not that jazz, which can break down the borders? A2) Manhattan Mood - 4'51"
B1) It's About Time - 5'40"
B2) Personally Ake - 10'33"
This recording is in stereo, and also my mp3 at 256 kbps should be. Perhaps there was some trouble uploading on Megaupload? Are you sure that you hear on only one channel? This file has been downloaded 56 times already, you've all the same problem? I havn't downloaded this one yet but since Horo 13 the files have been mono recordings according to my player. Perhaps you reset one of the settings in the audio program you use? These files have been downloaded hundreds of times, and nobody told me before you. 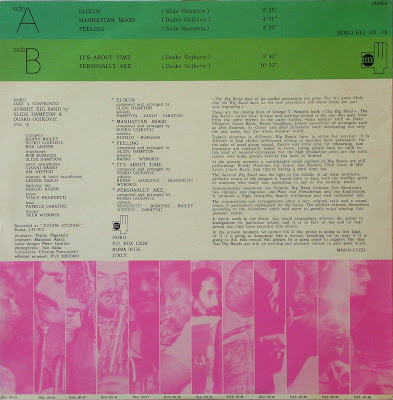 Anyway, I got this "problem" as an incentive to change the quality of all music that I posted on this blog. I installed a new audio recorder, Adobe Audition, and I started to record a 32-bit the great music of this legendary label, setting the playback speed to 320kbps. 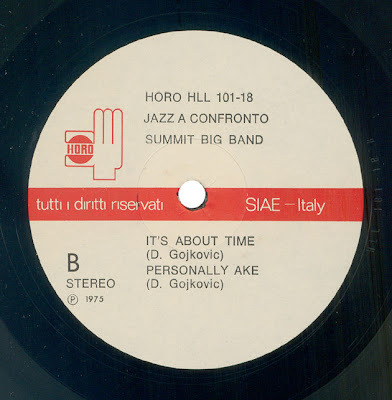 I decided to start from this volume of the JAZZ A CONFRONTO series, and to date, I've re-edited, in high quality, the volumes 18, 17 and 16, but I promise you, it will reload all the records of HORO with this system, also only to thank you for the attention and passion that proved to me to follow my blog. Each new upload will be clearly reported and, of course, I'll continue to publish the subsequent volumes to complete this amazing discography. Thank you very much, guys, and let me know if now is all ok!